Zuni Healer grinding medicine, Edward S. Curtis, 1925. Click for prints, downloads and products. People on all continents have used thousands of indigenous plants for treatment of ailments since prehistoric times. By watching animals, these ancient peoples learned what herbs and plants would work for various conditions. The use of plants as medicines predates written human history; but, the earliest archeological evidence indicates that a 60,000 year-old Neanderthal burial site yielded large amounts of pollen from plants that were later known to have been used in herbal remedies. The written record of herbs dates back over 5,000 years to the Sumerians, who described well-established medicinal uses for such plants as laurel, caraway, and thyme. Ancient Egyptian medicine of 1000 B.C. are known to have used garlic, opium, castor oil, coriander, mint, indigo, and other herbs for medicine. The Old Testament of the Bible also mentions herb use and cultivation of such plants as mandrake, vetch, caraway, wheat, barley, and rye. Herbalism, sometimes referred to as folk medicine, botanical medicine, herbal medicine, and herbology, not only utilizes plants, plant extracts, but, also fungal and animal products, minerals, and shells. Today, herbs are available in tablets, capsules, powders, teas, extracts and fresh or dried plants. Many of these can be very beneficial; however, cautions should be taken when taking any utilizing these powerful supplements. Some can actually cause health problems, especially as they interact with other drugs. It is recommended to consult your doctor before using herbal supplements, always follow label directions, and be especially cautious if you are pregnant or nursing. Below is a long list of many of the herbs and plants used in history, as well as today, in Native American remedies and across the world. This list is far from complete and we recommend that you further research any herbal supplements before taking them. Alfalfa – Known officially as Medicago Sativa, Alfalfa is a flowering plant in the pea family. Grown all over the world, it has been utilized in herbal medicine for centuries. High in protein, calcium, plus other minerals, vitamins in the B group, vitamin C, vitamin E, and vitamin K, it is best known to relieve digestive disturbances. Native Americans used it to promote blood clotting and treat jaundice. It is used for numerous medical issues today, including arthritis, muscle problems, to reduce blood sugar levels, eliminate toxins increase energy, bone strength, bladder and kidney problems, and easing menopause symptoms. 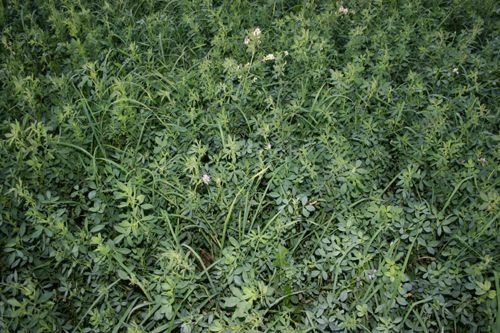 Avoid alfalfa is you have an auto-immune problem, as it has been known to aggravate these types of disorders. American Ginseng – Officially known as Panax Quinquefolius, this herb is of the ivy family and native to the hardwood forests of eastern North America. Used by Native Americans long before Europeans arrived, it was used not only to heal a wide variety of ailments; but, also for spiritual and ceremonial purposes. Recognized as one of the five most valuable plant medicines by the Seneca, traditional uses included flu, colds, fever, sinus problems, to reduce swelling, and as a laxative. The herb was smoked like tobacco by the Iroquois, and used in sweat baths by the Seminole. It was also dried for use inteas and tonics by the Cherokee, Creek, Houma, Mimac, Mohegan, and Potawatomi for a variety of medicinal purposes. Some tribes used at as a body rub. Another not so common use was using the herb to attract a mate, such as the Meskwaki women to gain a husband, and Pawnee men who used Ginsing as a love charm. Europeans quickly saw its benefits in the early 1700’s, so much so that French traders in Quebec, who had contracted with local Indians to purchase the ginseng they could find, effectively eliminated out the native stands of the herb around Montreal. Allspice – Formally known as Pimenta Dioica, this fragrant spice is not only used in cooking and seasoning, but also as an herbal remedy. 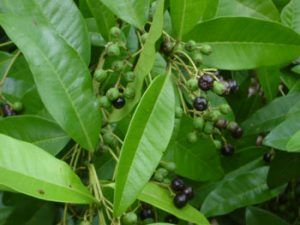 Also known as Jamaica Pepper, Kurundu, Myrtle Pepper, Pimenta, Clove Pepper, and Newspice, it owes its healing powers to “eugenol,” a chemical component in its oil that aids digestion and is an effective pain reliever. It’s dried unripe berries have long been used in teas for treatment of colds, menstrual cramps, upset stomach, indigestion, flatulence, diabetes, toothaches, and relief of muscle aches and pains. The berries have also been crushed and made into poultices and salves and applied directly to bruises, sore joints, aching muscles. American Licorice – Officially known as Glycyrrhiza Lepidota, and sometimes called wild licorice, it is native to most of North America, from central Canada south through the United States to California, Texas and Virginia, but absent from the southeastern states. Its roots have been widely used by a number of Native American tribes in teas for the treatment of cough, diarrhea, chest pain, fever, stomach aches, and to speed the delivery of the placenta after childbirth. It is also used as a wash or poultice on swelling . The chewed root is retained in the mouth as a treatment for toothache and sore throats. The mashed leaves are used as a poultice on sores. American Mistletoe – Specifically known as Phoradendron Leucarpum, this is a species of mistletoe which is native to the United States and Mexico. Its common names include Eastern Mistletoe, Hairy Mistletoe, Oak Mistletoe, Pacific Mistletoe, or Western Mistletoe. Druids in Europe used another species of mistletoe some 1,500 years ago for convulsions, delirium, hysteria, neuralgia, and heart conditions. Native Americans used Phoradendron in similar ways for blood pressure, lung problems, epilepsy, headache, abortions and as a contraceptive. The Cherokee made a tea ooze that was used to bathe the head for headache and the Creek made a concoction for lung troubles, such as tuberculosis. The Mendocino Indians often used the root to induce abortions and to prevent conception. Other uses included chewing on the root for toothaches, rubbing the body with a decoction of leave for painful limbs and joints. It was also used by some tribes in religious ceremonies. The plant is considered as poisoness and should be used with caution. Antelope Sage – Formally known as Eriogonum Jamesii, this herb is a species of wild buckwheat also known as James’ Buckwheat. Native to southwestern North America, in Colorado, Utah, Arizona, Texas, New Mexico, Oklahoma, and Nebraska; it was often used as a contraceptive byNative Americans, such as the Navajo. The women would drink one cup of a decoction of the root during menstruation. A decoction of the whole plant has also been used to ease thepain of childbirth, and the root was chewed or used in teas as a cardiac medicine, for stomach aches, and depression. Some made a wash that was used for sore eyes. Arnica – A member of the sunflower family, one species, called Arnica Montana, has been used for centuries by both Europeans and Native Americans as a topical cream or ointment to soothe muscle aches, reduce inflammation, treat sprains and bruises, and heal wounds. Arnica should not be taken internally as it has caused severe and even fatal poisoning. Ashwagandha – Formally known as Withania Somnifera, it is also called Indian Ginseng, Winter Cherry, Ajagandha, Kanaje Hindi, Amukkara, and Samm, it is native to the country of India and has a long list of medicinal problems it is used for. Ashwagandha is one of the most widespread tranquillizers used in India, where it holds a position of importance similar to ginseng in China. It acts mainly on the reproductive and nervous systems, having a rejuvenate effect on the body, and is used to improve vitality and aid recovery after chronic illness. The whole plant, especially the leaves and the root bark, are used as an antibiotic, a phrodisiac, diuretic, narcotic, and sedative. It is used to treat post-partum difficulties, nervous exhaustion, insomnia, impotence, infertility, multiple sclerosis, chronic fatigue, dehydration, bone weakness, muscle weakness and tension, loose teeth, constipation, senility, memory loss, and rheumatism. Externally it has been applied as a poultice to boils, swelling and other painful areas. Caution is advised in the use of this plant since it is toxic. Aspen – Aspen trees are native to cold regions with cool summers. In North America, this includes the far north portions and extending south at high altitudes in the mountains. 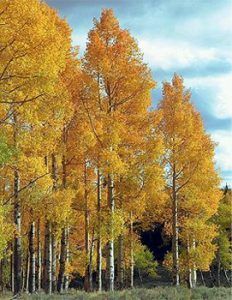 There are several varieties of Aspen trees, one of which — the Quaking Aspen, which was used by both Native Americans and early pioneers to treatfever, scurvy, cough, pain, and as an anti-inflammatory. The inner bark of this tree contains salicin, a substance similar to the active ingredient in aspirin. Astragalus – A large genus of about 3,000 species of herbs and small shrubs, it is native to temperate regions of the Northern Hemisphere. Common names include milk-vetch (most species), locoweed (some species in the western U.S.), and goat’s-thorn. Used in both traditional Chinese and Native American remedies, the dried roots was often in combination with other herbs, to strengthen the body against disease. Traditional medicinal uses included the treatment of colds, flu,infection, allergies, asthma, fatigue, anemia, wounds, heart and kidney disease, hepatitus, stomach ulcers, and digestive disorders. It is also thought to help protect the body from diseases such as cancer and diabetes and is also used to protect and support the immune system, for preventingcolds, upper respiratory infections, lower blood pressure, treat diabetes, and to protect the liver. Atractylodes – Long used in Traditional Chinese Medicine, this herb is used for indigestion, stomachache, bloating, fluid retention, diarrhea, loss of appetite, weight loss, allergies, and rheumatism. It is used with other herbs for treating lung cancer, and kidney problems.